IBM ES0D 387GB SFF-2 SSD with eMCL is a SFF 2.5" SAS Solid State Drive (SSD) has a 58B9 CCIN, and is formatted with 528 byte sectors. The ES0D 387GB IBM solid state drive is supported in SFF-2 SAS bays in the IBM EXP24S 5887 I/O drawer for an iSeries. The IBM ES0C and ES0D are physically identical drives but have different feature codes specify how the SSD is used. ES0C indicates usage by AIX, Linux or VIOS. 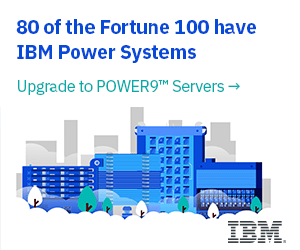 ES0D indicates usage by IBM i Power systems. The ES0D IBM i 387GB SFF-2 SSD with eMLC is no longer sold as new, only refurbished or used prices will be provided. All IBM iSeries systems and parts are IBM Certified and eligible for IBM Maintenance contracts and include warranty. The new, higher-performance 387 GB SSD (ES10, ES11, ES19, ES1A) should replace the existing 387 GB (ES0A, ES0B, ES0C, ES0D) in most proposals. The 2x larger capacity 775 GB SSD (ES0E, ES0F, ES0G, ES0H) has the same higher performance characteristics of the new 387 GB SSD, but also can potentially reduce the number of SAS controllers and SAS bays for the same capacity and lower energy usage. The new 387 GB and 775 GB SFF SSDs are the third generation of eMLC technology offering significant performance, capacity, and price-to-performance advantages. Using faster and more powerful technology, they offer up to 2X more IOPS capacity than the existing second-generation eMLC SSD technology. The new third-generation SSD also deliver up to 40% better latency. Enterprise Multi-Level Cell (eMLC) flash memory blends enterprise-class performance and reliability characteristics with the more cost-effective characteristics of MLC flash storage. The new third-generation SSD builds upon this base and, using advances in both the SSD device controller flash memory management plus advances in MLC technology itself, offer an even better value proposition. Like IBM's earlier eMLC SSDs, the drives are designed to deliver great sustained performance levels and extended endurance and reliability. For example, the new eMLC SSD modules were designed to provide 24x7x365 usage even running write-intensive levels for about five years. Typical client usage is expected to be much lower, especially regarding the average percentage of writes, and thus drive life span can be much longer. Four feature codes are used for the 387 GB drive to identify the type of SFF (2.5-inch) SAS bay and the operating system that will use the drive. If used in a POWER7 or POWER7+ system unit or a 12X-attached 5802 and 5803 I/O drawer, then features ES10 and ES11 are used and named SFF-1. If used in a 5887 EXP24S storage drawer, then ES19 and ES1A are used and named SFF-2. Because the SAS bays differ physically, SFF-1 and SFF-2 drives are not interchangeable. Features ES10 and ES19 are used to order SSDs for AIX , Linux , or VIOS. 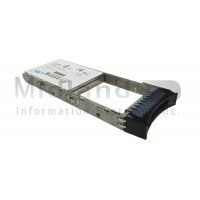 Features ES11 and ES1A are used to order SSDs for IBM i. Features ES10 and ES11 are identical and physically interchangeable, but two features are used to help IBM configuration tools understand the usage and slightly different configuration rules under the different operating system environments. Likewise, features ES19 and ES1A are identical and physically interchangeable. Similarly, four feature codes are used for the 775 GB SSD. ES0E and ES0F are the SFF-1 features. ES0G and ES0H are the SFF-2 features. ES0E and ES0G are the AIX , Linux , or VIOS features. ES0F and #ES0H are the IBM i features. Note: The increased performance levels of the third-generation SSDs may have SAS adapter configuration considerations unless the SSDs are not very busy. Older SAS controllers or adapters can support fewer busy third-generation 387 GB or 775 GB SFF SSDs than compared to the maximum quantity of busy first- or second-generation (69 GB or 177 GB) SSDs from a full performance perspective. Of course, the PCIe Gen2 SAS adapters can run a higher quantity of SSDs than the older comparable PCIe Gen1 SAS adapters. The CCIN numbers assigned to the third-generation SFF 387 GB SSD are identical to the second-generation. SFF-1 #ES0E/ES0F and #ES0A/ES0B use CCIN 58B8 and SFF-2 #ES0G/ES0H and #ES0C/ES0D use 58B9. Performance analysts who tune configurations where two generations of these SSD are installed may want to check AAS/WTAAS records in addition to looking at reports based on just CCIN information. The 387 and 775 GB SFF SSDs can be located on the same SAS controller as other capacity SSDs assuming there are available SAS bays. SSDs and HDDs cannot be mixed in the same array. Different capacity SSDs cannot be mixed in the same array. Generation 2 and generation 3 387 GB SSD can be intermixed in the same RAID array. The new 387 GB and 775 GB SSDs are shipped from IBM formatted to 528 byte sectors. Reformatting to 512-byte sectors (JBOD) is not supported. Note: The ES0D IBM i 387GB SFF-2 SSD with eMLC cannot be used in 5802 and 5803 I/O drawers or in system unit SFF SAS bays due to physical difference in Gen1 and Gen2 carriers. Also drive was not tested with 512 byte sectors and thus JBOD mode for AIX/Linux is not supported.